Musings of a Durotrigan: Dewsbury Bomb Plot? Normally, the fact that a significant swathe of the resident Pakistani population evades car insurance rankles with me, given that this results in the rest of us having to pay higher premiums. 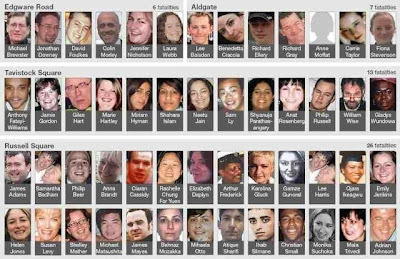 However, today this selfish and anti-social practice has proven to be a blessing in disguise, for according to articles in today’s editions of the Daily Telegraph and the Daily Mirror, a chance traffic check that led to a car being impounded because the driver was not insured, could have saved Dewsbury, or possibly somewhere else, from an Islamist terror attack. the suspects were at large for three days after the police had seized the vehicle, which could have allowed time to destroy or hide other weapons or incriminating evidence. Evidently, the suspects and their accomplices will have done their best to cover their tracks during the intervening period, which could unfortunately hinder the prosecution of all involved, and potentially mask the identities of other individuals linked to the plot. One theory is the occupants were planning to bomb a march by the notorious far-right group taking place just hours later. How very interesting to see another member of this ethno-confessional ‘community’ not condemning the fact that this man was plotting terroristic violence, and instead describing his actions as “one huge mistake”. Why did the interviewee regard it as a “huge mistake”? Because he had been caught, rather than being able to see through whatever act of mass murder and maiming he was planning? We’ve grown up with them. They’re all lovely. They’re fine. They had a bit of a family issue with the mum and the dad separating, but there’s never been any problem with them as neighbours. They’ve never given any impression of being radicalised. They’re British Pakistanis. We’ve known them since they were babies and they’ve always seemed pretty westernised. The Dewsbury terror suspect was part of a “wonderful family” and his alleged Sparkhill accomplice was “lovely” and “fine”. Such descriptions could seem to express a deep-rooted unwillingness on the part of Pakistani British residents to condemn Islamism and Islamist-related violence, which may ultimately rest upon the fact that they share and approve of the goals of violent Islamists: the Islamisation of Britain. Although not perhaps willing to use violence to achieve this themselves, are they particularly bothered when others do so in their name? The evidence would seem to suggest not. Bomb, Assassination or 'Mumbai-style attack'? According to the Telegraph, a number of the suspects were already known to MI5, and the seizure of materials ‘raised the suspicion that a group were planning an assassination attempt or a Mumbai-style shooting atrocity that day or imminently.’ Dewsbury of course lies to the north of Sheffield, so it is odd that the men were stopped as they were travelling south on the day of the EDL march in Dewsbury if they were attempting to attack it. Perhaps they were on their way to pick up co-conspirators? Then again, their intended target may have been something else altogether. We are supposed to believe that police pulled over a car that had no insurance and they impounded it. We are supposed to believe that there were guns and a bomb in the car, but police let the men go and didn’t bother searching the car till the next day? We all know that this would never happen. Police stop you for something like that, they always search your car. If it does turn out to be true then it validates everything we[’]ve said about this country being full of dangerous scum who need to be deported in large numbers. This story stinks and I reckon its been manufacture[d] to cause fear and put people off going to EDL demos. What do you think? If they ever did bomb a demo Britain would turn into Northern Ireland overnight and that is a fact. Someone[‘]s just pointed out that its funny that at the last two demos there have been no Muslims on the streets at all, no gangs of Jihadis and bad boys as there usually are, and they catch a car full of them supposedly on their way to plant a bomb at our demo. Prior warning via the Mosques? Makes you wonder. It is true that the so-called ‘anti-fascist’ counter-demo in Dewsbury attracted startlingly low numbers of supporters despite heavy backing and publicity, and there was a notable absence of local Muslims amongst the small crowd that turned out. Hitherto, the SWP-dominated ‘Unite Against Fascism’ and its various Trotskyist-led front groups have found ‘anti-fascist’ mobilisation against the EDL useful from their perspective, drawing in hot-headed young Muslims as an aggressive shock-force, designed both to intimidate and to manufacture the perception in the national media that there exists a genuine ‘fascist threat’ in this country, which is just grist to their mill of Marxist revolutionary radicalisation. However, it seems that many Muslims have cottoned on to the opportunistic nature of the Trotskyist far-left and the fact that they have been used as a catspaw to further a Marxist agenda with which they fundamentally disagree. Moreover, highly politicised groups with a specifically Muslim identity have emerged that appear to have been attracting many younger Muslims who might previously have been siphoned off into the ranks of the SWP and other leftist organisations. Thus, the absence of Muslim ‘anti-fascist’ mobilisation at the last couple of EDL demos could be more indicative of both of these trends, than of any ‘warning’ from mosques to stay away because of potential violence. 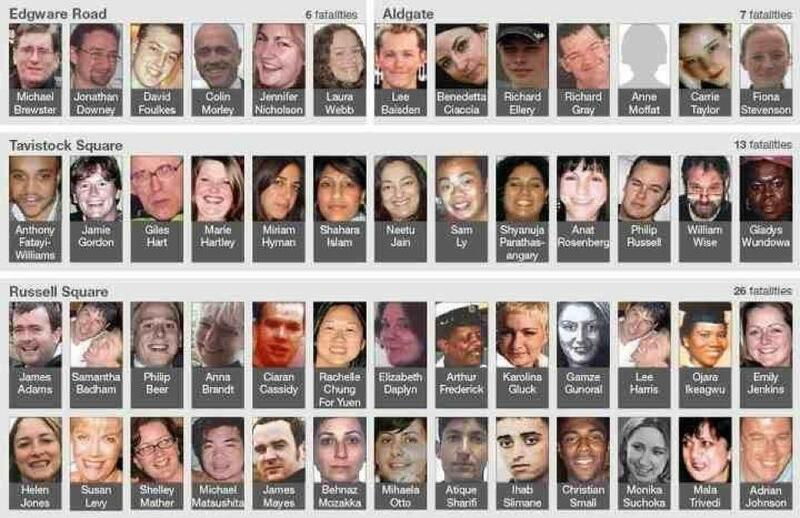 Seven years ago today 58 people died in London in the 7/7 bombings and hundreds were maimed and mentally scarred. These latest arrests, together with the London arrests on Thursday, illustrate the ever-present threat of violent Islamism within our shores. We must remain vigilant and ensure that all forms of Islamism are rooted out of our country, and its proponents removed.